Got a 04 Intrepid 2.7 for free. Sometimes it goes into like a limp mode, doesn't shift out of 1st gear and I notice on the dash all the gear selector blocks are lit up. Checked codes on dash, what I got was P0700, P0113, P0123. It doesn't do it all the time. I am mechanically inclined but I have never messed with these cars. When Monitored: With the ignition on. Battery voltage greater than 10 volts. than 4.98 volts. One trip Fault. Set Condition: Throttle Position Sensor voltage at the PCM is greater than 4.47 volts. P0700 is a generic transmission Fault code and indicates you need to get the underlying codes read. Either with a decent code scanner or at an auto parts store. All indicators circles usually points to the TRS (Transmission Range Sensor) but not always. Without the specific Transmission codes it's a guessing game. With your other codes above it's possible you have a wiring problem. Inspect the wiring at the back of the engine. 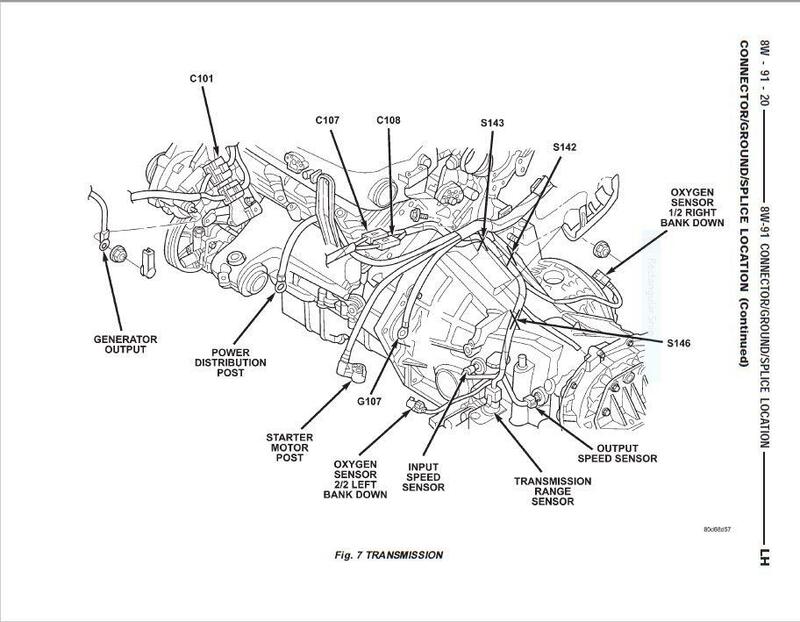 You might want to try disconnecting and cleaning the C107/C108 connectors shown in the diagram below. Do this with the battery disconnected by taking the negative jump post cable off the top of the passenger side strut tower. Use Contact Cleaner to clean the connectors.